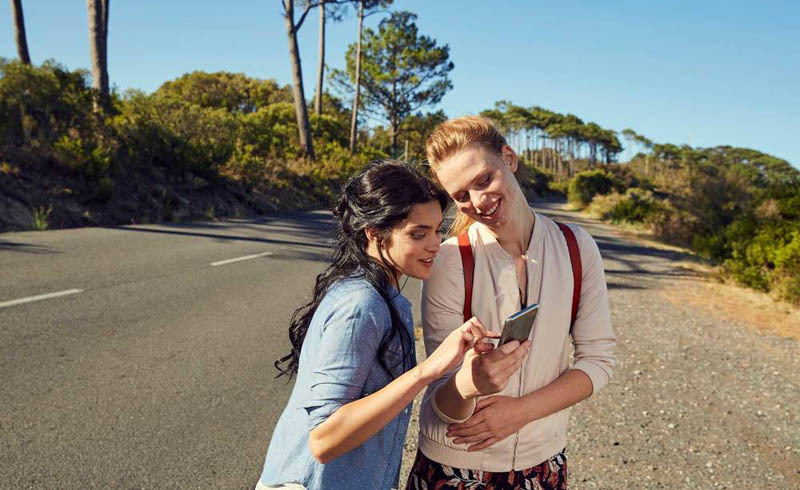 Google Translate and other travel technology tools are incredible — when you have a reliable Wi-Fi connection and a fully-charged phone battery. Without those precious necessities, translation apps can leave you high and dry in some travel situations. "Tech tools have their limitations, particularly in rural areas — and in industrialized, first-world countries, where internet or data coverage is spotty," Sharon Schweitzer, cultural coach, international etiquette expert, and author of "Access to Asia," says. And what's more, nuances in language often mean apps get lost in literal translation. So, when Google Translate and other tech tools won't cut it, what can you do while traveling? Here are 7 expert tips to help you communicate without any technology. Point — but not with your finger. "Rather than pointing with a finger — which is a gesture considered rude in some cultures because pointing is used to indicate the accused in a criminal proceeding — use your whole hand, palms flat and thumb out to the side to indicate direction," Schweitzer suggests. When it comes to navigating a foreign language, "your concierge is one of your best sources for information," says David Fishman, travel specialist at Cadillac Travel Group in Southfield, Michigan. "Ask your concierge to write down an address and directions in the local language so you can ask locals for help if needed." When you leave your hotel, make sure you've packed a business card for the concierge. That way, "if you are really lost, someone may be able to call back to your hotel and get you connected with the concierge, who might be able to answer your questions," Fishman said. Before you leave for your destination, look up common phrases — such as "hello," "thank you," "how much," and "where is the bathroom" — and write them down in the local language on note cards you can easily carry in your pocket or purse. You may also want to translate any allergies, sensitivities, and conditions you have. If you end up in a hospital, Schweitzer points out, these translations will be handy. In addition to carrying notecards with words and phrases, also consider printing out common symbols — taxis, hotels, planes, a glass of water, and a hospital or doctor — and pasting them on note cards to carry. "Make the list you need," Schweitzer said. If your own concierge can't be of help, don't be afraid to walk into another hotel and ask for advice, Fishman says. "All hotels will give you directions — even if you walk into a random one," he said. In fact, Fishman recalls a visit to Rome during which a hotel gave him a phone with GPS, "and it helped me get to a number of destinations." You might be tempted to carry a map in English, but don't. Instead, "carry a map in the language of the country you are visiting so locals can advise you," Fishman said. Of course, you can also carry a map in English — just don't make it your only one. "In the heat of a challenging communication situation, the number one tip is to stay calm," Schweitzer said. "Showing frustration, raising your voice, or faulting the other person reflects poorly on you and won’t improve anything." When you simply can't communication, "keep calm and … be OK with letting go."